A simple mix of Dawn dish soap and some baking soda can make an effective cleaner for many surfaces, even your smooth glass top range. 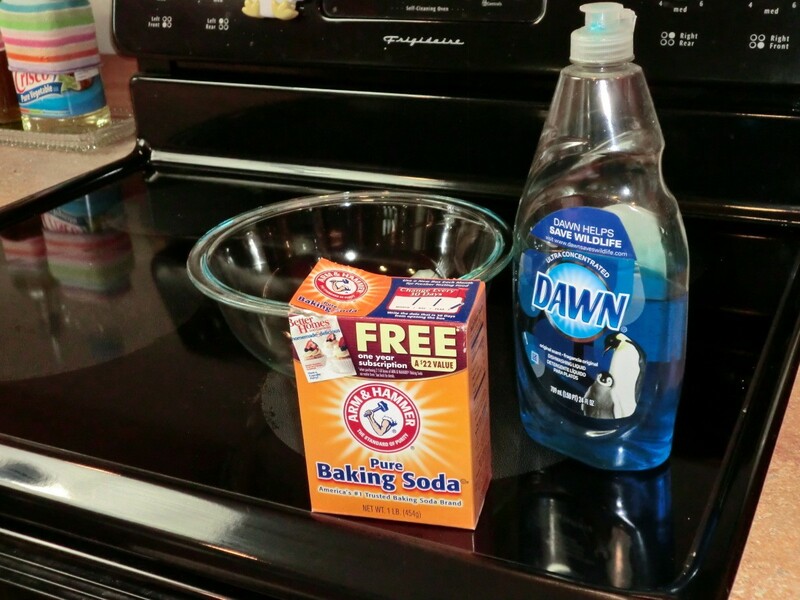 This is a guide about use dawn and baking soda to clean a smooth top range. 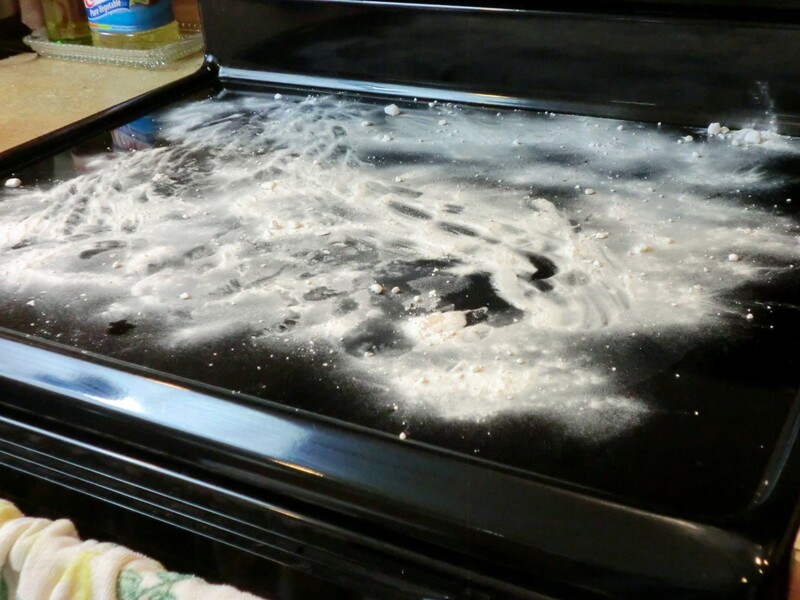 Here's an easy and eco-friendly method for cleaning a smooth top range. It removed all but the very worst stains with minimal effort. Clean any loose debris off of the range top. 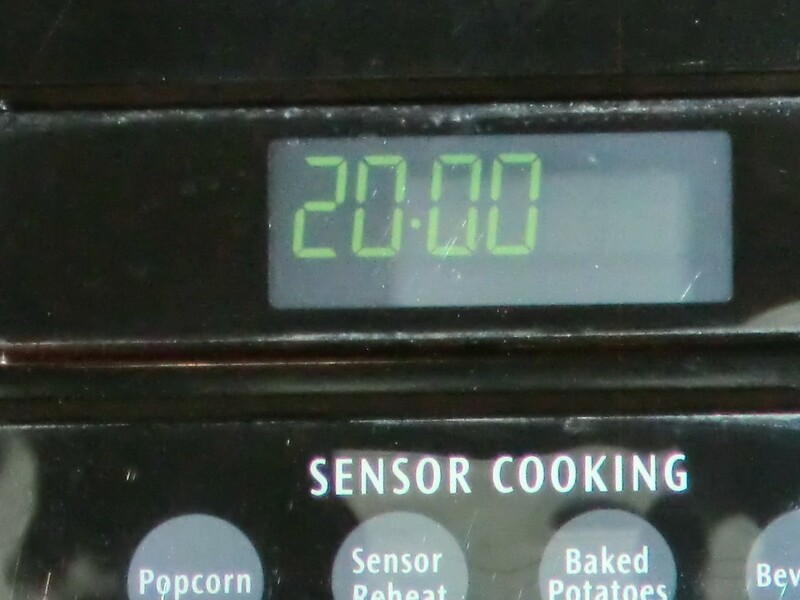 Apply baking soda liberally to the top of your stove. 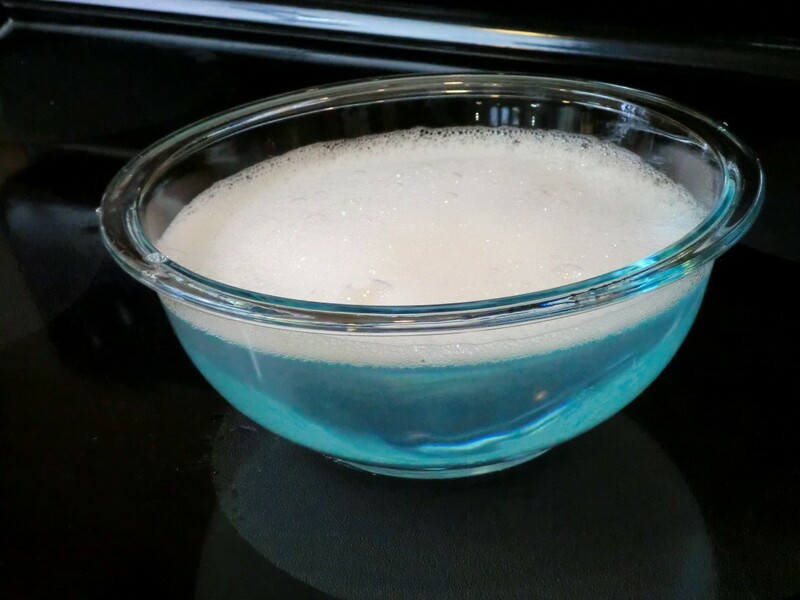 Add a squirt of a dish soap to a bowl of water. 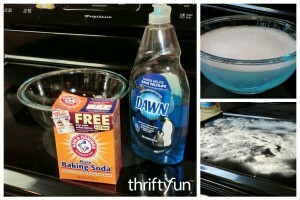 About 2 teaspoons of dish soap to 1 gallon of water. 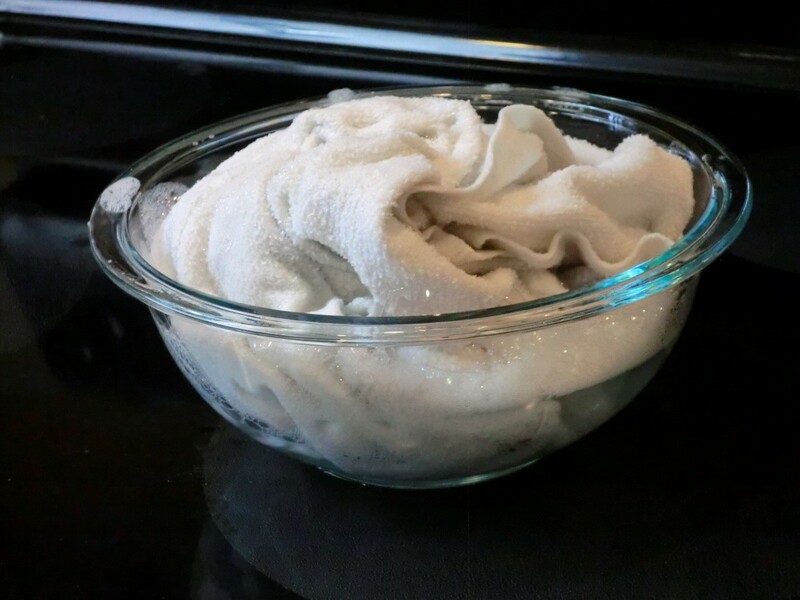 Soak a towel in the soap and water mixture. Remove, leaving it pretty wet. 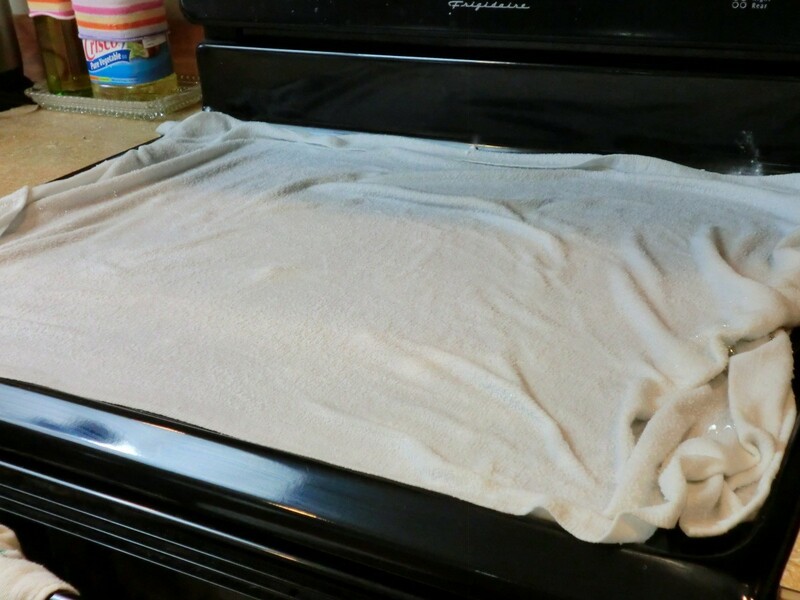 Place the towel on top of the baking soda. 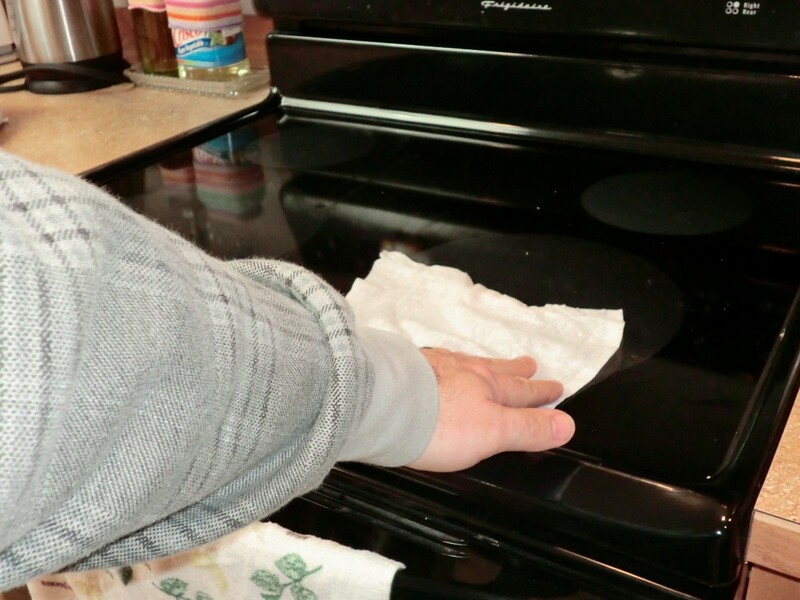 Remove the towel and then dry off the range with a paper towels. Enjoy your clean and glistening range! The only stains not removed are seen in the picture below. Those can be be removed using a little Cerema Bryte. 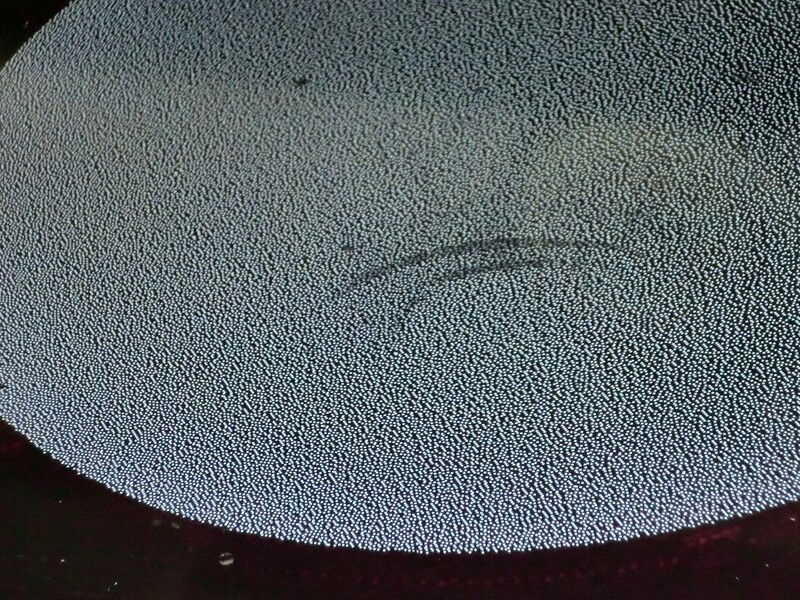 Cerema Bryte is nice to have around, but can be expensive for frequent cleaning. Just curious, in the list of items needed, it has 2 Tbsp of dish soap, but in the directions/pictures it says 2 tsp...a bit of a difference. Don't you rinse that soap off?